On April there was a reading month in Maunula ala-aste. Reading month is a month where you read as much as you can and in the end of the month there is a lottery, where you have a chance to win books. 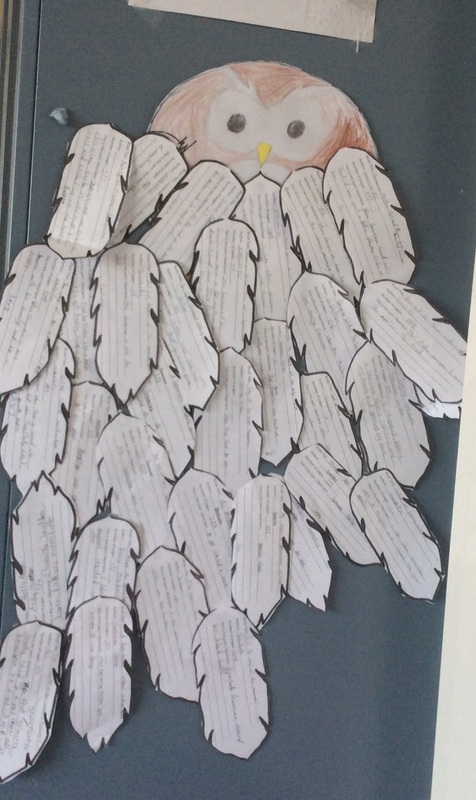 Each class had a reading month owl in their class. The students would write down their name, book’s name, author’s name and the number of pages the book had, on a feather. Then they would put the feather under the owl. In the end of the month, the teachers will collect all the feathers and we have a lottery.